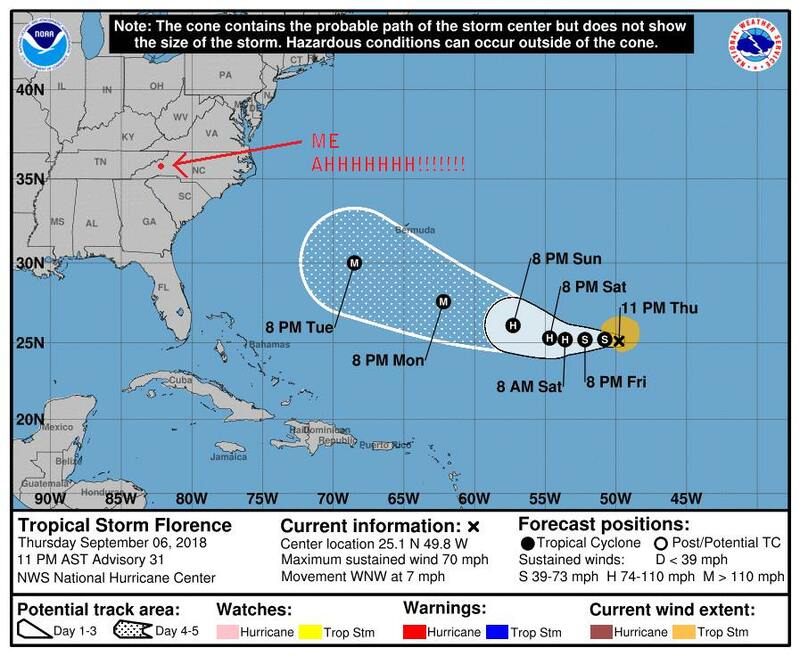 Side note - every time I hear the name 'hurricane Florence' I think of Florence Henderson from Brady Bunch. Has anyone checked to see what Frankie has to say about this one? The weather forums that I hang out in have folks saying Cat 4 hitting OBX. That can change, of course, but that's what folks are speculating on. And honestly, these folks have a better track record than the weather channel. I gave the link in the opening post. But got a cuz she and her family is at the Marine base on the coast of NC though. I probably will be ok. I am well inland next to the mountains. 6 to 8 hrs from the coast. May not even get any rain it looks like. But if it shifts could get flooded again. That is uselessly the case this far inland.